According to the CBI charge sheet, Paramount Airways Pvt Ltd (PAPL), its managing director M Thiagrajan, then CMD of Oriental Insurance Company Ltd (OICL) M Ramadoss, and three other officers were accused of causing wrongful loss to five public sector banks and the insurance company, against which claims of Rs 442 crore were raised due to payment defaults by the airline. New Delhi: The CBI has been pulled up by a special court for giving clean chit to some bank officials in a case involving Paramount Airways Pvt Ltd and a former CMD of Oriental Insurance Company Ltd for allegedly causing loss of about Rs 442 crore to five public sector banks. The court said the investigating officer (IO) has given a clean chit to the bank officials despite there being "prima facie overwhelming material on record against them". Special CBI Judge Kamini Lau said the November 2010 investigation report of the insurance firm on PAPL showed the total amount of reported claims by the various banks was Rs 441.30 crore, prima facie showing the involvement of bankers. "All these documents also point out towards the severe irregularities, lapses and omissions committed by the officials of the various banks, that is, State Bank of India, Indian Bank, Andhra Bank, Bank of India and IDBI etc. in the commercial dealings with PAPL," the court said. It said the CBI prosecutor and IO were unable to answer its queries on the issue of IO giving a clean chit to the bank officials despite prima facie overwhelming material on record against them. "Perusal of the final report (charge sheet) also showed that the IO had recommended departmental action against the bank officials. I fail to understand under what provisions of law the IO, whose powers to investigate are circumscribed under the Code of Criminal Procedure, could have even done so. "The possibility of this being an attempt to divert the course of investigations qua the bankers cannot be ruled out or else there could have been no other reason why he had chosen to exercise a jurisdiction where none existed," the judge said. The CBI, which had registered a complaint in July 2011, has alleged that the accused conspired to cheat and cause loss to the five banks and OICL, which had to bear claims of Rs 442 crore on default of payment by Paramount Airways to the banks. 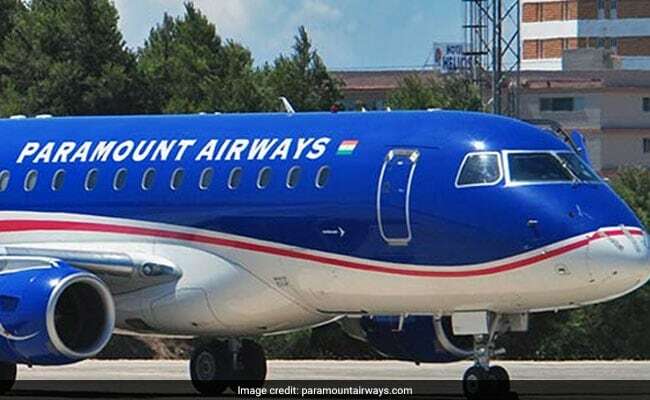 It had alleged that Chennai-based Paramount Airways had taken credit insurance from OICL for its multiple bank guarantees to cover its transactions with state-owned oil companies. As the airline defaulted in paying to oil companies under the contract guarantee, the oil companies invoked bank guarantees and the banks in turn raised the claims of Rs 442 crore on OICL, the CBI had claimed. Besides PAPL, Ramadoss and Thiagrajan, the other accused are former deputy general manager of OICL V Harshvardhan, OICL general manager Niraj Kumar and DGM of OICL Chandra Shekhar Tandon. The probe agency has alleged that Ramadoss of OICL entered into a criminal conspiracy with Thiagrajan, abused his official position and favoured the airline in issuance of 220 credit insurance policies during 2005-10. The credit insurance policies were used in securing multiple bank guarantees from SBI, BoI, Indian Bank, Andhra Bank and IDBI to cover its transactions with PSU oil firms and to meet expenses relating to fuel, aircraft, lease, rent airport charges and others, it has claimed. All the accused have been booked for criminal conspiracy, cheating under the IPC and also under the Prevention of Corruption Act.